I frequently travel to neighbouring countries, having lived in or spent extended periods of time in Cambodia, Thailand, Malaysia, Indonesia, and the Philippines before coming back to Vietnam almost three years ago. Laugh all you want, but I honestly put the banh mi sandwich right at the top of the list of things I miss while abroad. It’s one of those little gems we all take for granted, like ATM machines, grandmothers, and elevators, but when we don’t have them we really miss them. Fried bread, greasy sausages and bacon, and donuts just don’t cut it for me in the morning. The banh mi is a fantastic food weapon – delicious, nutritious, fresh, found almost anywhere at any time – especially when you need one most, and it’s cheap. I can’t wait to wrap my mouth around my breakfast banh mi – the girl down the street makes a wicked version: two fried eggs (ốp la), a couple of dollops of pâté, pickled vegetables, a slice of cucumber, and cilantro, all swathed in butter and soy sauce. 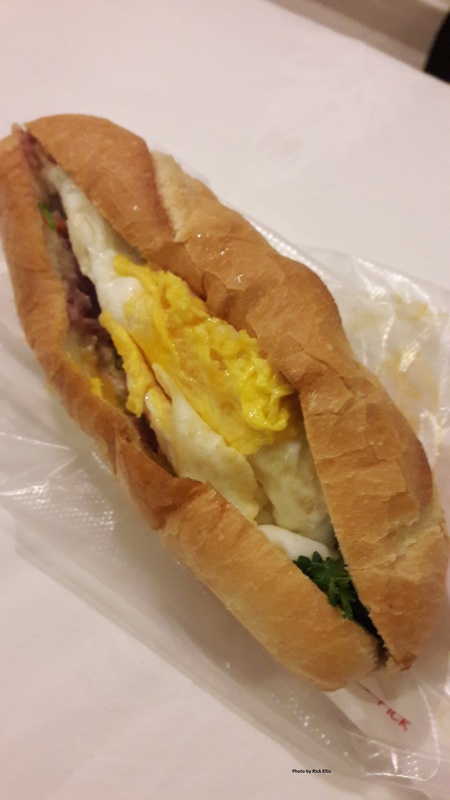 Only Cambodia and Laos have equivalents to the banh mi and both pale in comparison to the Vietnamese version, starting with the quality and freshness of the baguette itself as well as the various meats and condiments. Banh mi in Vietnam is practically a national treasure – it’s a perfect example of just-in-time production and distribution, guaranteeing a fresh sandwich every time. Just walk 100 meters in any direction in a city in Vietnam and you’re likely to come across a banh mi vendor armed with fresh baguettes. Next up is a good cup of coffee at a fair price. In most of the countries listed above the common version is the sachet of 3 in 1 with fake sugar, cream, and – I suppose – fake coffee. It sure doesn’t taste genuine to me. It’s so bad I’d rather skip it completely. The only option is coffee from some global megacompany which I refuse to drink as a matter of principle. 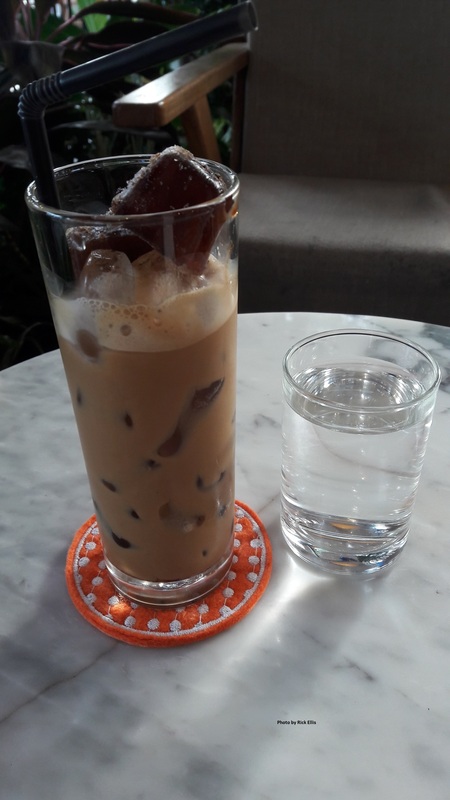 Vietnam has one of the top coffee cultures in the world and some of the best brews anywhere, and it’s easy to find a great coffee for US$0.50. Similar to the banh mi situation, just take a look in each direction on any street in any city and you’re bound to find several cafes. This is a critical point because Vietnam stands pretty much alone in coffee production in Asia, with Indonesia and Malaysia getting honorable mention because they also produce impressive blends, but usually at prices several times more expensive than Vietnam. Thailand is also making some waves in this space but Vietnam has the edge in experience. In Vietnam you can choose from all qualities, serving styles, and classes of cafe – reminiscent of Europe in that sense. Don’t want to spend a lot of money? The 50 cent brews are just great. Feeling flush? You can spend 10 times that in a classy café featuring live music, beautiful atmosphere, and top-notch service. 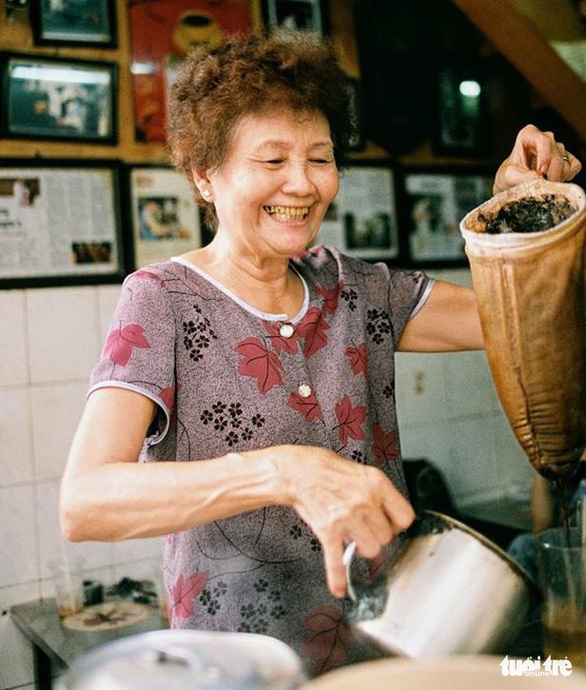 Nearly all Vietnamese coffee is produced with robusta beans, so the taste is full and rich and absolutely heavenly when mixed with condensed milk. So there you go with two daily must-haves: good coffee and a hearty breakfast or snack at a decent price. I always miss the energy and hustle of the Vietnamese when I’m away. The people in general all over Southeast Asia are very accommodating and want to deliver quality service and a warm welcome. Walk into a business in one of the countries I frequent in the region and you’ll notice the employees are there all right, but not exactly on fire with desire. Going through the motions, friendly yet passive. The Vietnamese clearly stand out among their peers, working quickly and efficiently, serving customers with a sense of urgency, and usually tallying up numbers in their heads where others need a calculator and plenty of time. The Vietnamese style can be brisk compared to their neighbours, but I prefer that to a lack of energy and efficiency any day. People here are in a hurry to improve and advance, make money and get ahead, and make up for lost time. One of the reasons is that Vietnam has not been taken over by global concerns, so the entrepreneur still rules, so many of the shopkeepers and service people own the business that you’re dealing with. And Vietnamese customers are demanding, it’s true. People walk into a business and expect to be served immediately, often calling (yelling?) out their request upon entering the business. Many times when I’m abroad and go into a convenience store the staff will ask for small bills because they forgot to load up on change. The staff spend all day asking, “Do you have small money?”, instead of doing a bit of planning. Shopkeepers often wait until stock goes to zero before realizing that they need to order more of an item. I see completely empty shelves often when I go abroad, but very rarely in Vietnam. God, how I miss Vietnamese food when I’m abroad! It is the healthiest around in my opinion with an abundance of fresh vegetables and relatively few fried foods. Add value for money to the equation and Vietnam blows the competition from everywhere in the region right out of the water, no question about it. Whether it’s a humble bowl of soup or a meal fit for a king, the effort is made. No corners are cut – for example fresh condiments are served up with the meal every time. The selection in Vietnam is unparalleled – literally thousands of dishes that cover the whole spectrum of ingredients and tastes, and the prices range from the simplest and cheapest to some really fine dining. On another recent trip to Thailand I enjoyed the food, but not the prices, which were pretty much double for the equivalent in Vietnam. That’s not important to the passing tourist but it is to the foreigner who spends all or most time in a country. How about a beer in Indonesia? Even on competition-tough Bali the lowest price is almost double that of Vietnam. Several places I go to such as the Philippines or Bali have an oversupply of eager vendors who approach us offering everything from illegal drugs to taxi service to trinkets for sale. I don’t dare slow down or stop on the street in either place or I’ll be approached within moments. “You want lady? Massage? Transport? Viagra? Souvenirs?” Ugh, it goes on all day long, never stops. In Vietnam nobody hassles me about anything, but everyone seems ready when I do need something. So many simple daily transactions are hassles in other countries, such as buying a SIM card, which should be a simple exchange. Need a visa? Some neighbouring countries are very simple to deal with, others a nightmare of bureaucracy and inefficiency, not to mention corruption. Never happens in Vietnam, at least not to me nor my circle of friends. What don’t I miss when abroad? I don’t miss having to look in eight different directions when I walk down the road, motorbikes flying in every direction and abandoned all over the sidewalks. But it’s no big deal. Living abroad is all about the entire package, not one thing or another. Either the place rings your chimes or it doesn’t, and if it does, you put up with the things you don’t like. And Vietnam definitely rings my chimes.